The new US President Donald Trump has signed executive orders to build a wall along the border with Mexico – as pledged during the election campaign – and to crack down on US cities shielding illegal immigrants. 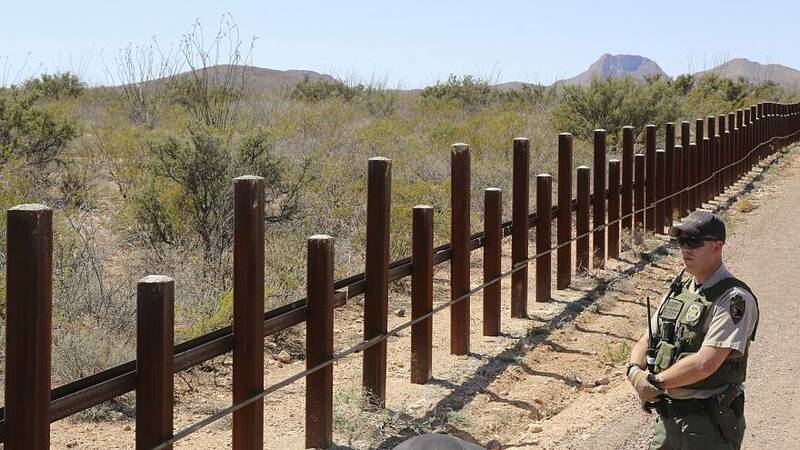 One directive dealt with building a wall along the 3,200-kilometre US-Mexican border. Earlier on Wednesday Trump said that construction of the wall could begin within months, and repeated that Mexico would pay for its construction – an assertion that has been challenged by critics as unenforceable. However, many details remain uncertain, and the man charged with putting the scheme into practice – the Secretary of Homeland Security John Kelly – told congressional hearing recently that physical borders alone could not stop illegal immigration. The second order envisages stripping federal grant money from “sanctuary” states and cities that harbour undocumented migrants. In some cities such as San Francisco local officials, often Democrats, refuse to cooperate with federal authorities on actions against people in the country illegally. As he did during his election campaign, Donald Trump again linked illegal immigrants to crime. “We’re joined here this afternoon by parents whose children were horribly killed by individuals living here illegally. Pundits talk about how enforcing immigration laws can separate illegal immigrant families, but the families they don’t talk about are the families of Americans – for ever separated from the people they love,” the president said. Wednesday’s moves show that the president intends to proceed quickly on sweeping and divisive plans to curb immigration and boost national security. Commentators have pointed out that deportations of illegal migrants had been stepped up even under the Obama administration. But Trump’s order is expected to cover a wider range of people. Donald Trump is also expected to take steps in the coming days to limit legal immigration – including executive orders restricting refugees and blocking visas being issued to people from several Muslim-majority countries in the Middle East and North Africa, according to Reuters.